Christmas In Montrose…it’s that time of year again and this year promises many surprises! First, lets take a trip back in time. Do you remember Town Pride? How about Victorian Christmas, or Montrose Country Christmas? Taking me back, were Angela Mooney, Diane Quattrocchi, and Peggy Sheffler. They sat with me on a cold afternoon in November to give me their recollections of Montrose Christmases gone by. Forty-five years ago, Town Pride members Kathy Pascoe, Pam Kelly, and Liz Bennett put their heads together to get a town Christmas celebration started in Montrose. What was then known as “The Old Post Office,” on Public Avenue, is where vendors set-up their wares. Everyone dressed up, Angela recalls. She still remembers wearing a long dress during weather that was less than perfect and feeling great sympathy for the ladies of days gone by. The smell of popcorn popping and hot cocoa brewing as you walked down the sidewalk would draw you toward the Old Post Office and the vendors. Just this recollection can still bring a smile to Angela’s face. The ladies remember how beautiful the store fronts looked all dressed in little white lights. The high school art class made Montrose beautiful by painting the windows of local businesses. It was a warm and welcoming sight on a crisp winter day with snow on the ground. A few years later the Montrose Chamber of Commerce took over and Victorian Christmas was born. This is when Diane and Peggy became involved. Diane was the proprietor of The Plant Shop and Peggy’s shop was the Green Shutter Boutique. Both ladies said the tradition of dressing-up continued. One weekend during the Christmas season you would see men and women in old fashion dress walking up and down the streets of Montrose or perhaps sitting in the window of the Victorian Restaurant. Peggy reminisced about the scavenger hunts that used to take place. All the merchants had booklets at their locations. Each booklet had 20 spaces. Hunters took their booklets to each participating merchant and had it validated…no purchase necessary. Once the booklets were fully validated, the scavenger hunters took them to an appointed drop-off location. The Grand Prize was $1,000 worth of merchandise! The lucky victor could use their winnings at one merchant or all 20, their choice! Diane remembers planning the Victorian Christmas weekend around hunting season for a few years. The idea being that while the husbands were out hunting (for deer,) the wives could be out “hunting” for bargains and stocking-up on Christmas gifts! Diane fondly recalls The Plant Shop buzzing during this weekend. The ladies went on to say Victorian Christmas eventually evolved into Montrose Country Christmas. As merchants began to leave Montrose there was a lull with no organized celebration. 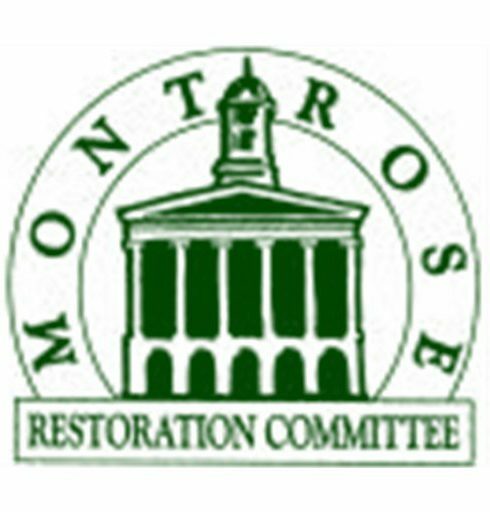 Tom Follert and Ruth TenHoeve spent some time filling me in with their memories about how Christmas in Montrose came to be and how it has blossomed into what it is today. In 2007, Chocolates by Leopold opened. That Christmas, Leopold’s instituted the Santa Roll in Montrose, which remains a Friday night favorite to this day. This inspired other local business owners who were also interested in bringing back Montrose Country Christmas. They began meeting in the basement of Craig’s store where they put their heads together to come up with ideas. Over the next couple of years, they made headway in putting together an organized Christmas celebration, but in 2009 it became apparent that trying to plan and put a weekend of events into action at their busiest time of year was just too much. Events were still being held during the first week of December; churches held their craft fairs, stores had open houses, but everything was done independently. One constant during all these years was, and is, the Christmas Chorale Concert held at the Presbyterian Church. The concert is customarily held on the Sunday of the Christmas in Montrose (CIM) weekend. It is a concert many do not want to miss. In 2010 Cabot Oil and Gas stepped in and made a big difference. They wanted to show their support for the community and felt being involved with CIM would be a great place to start. They reached out to Tom, knowing of his experience with The Chocolate and Wine Festival. Working together, the goal was to unify all the separate events taking place back under one banner; then grow the events from there. Cabot, being a corporation, had the time and resources to plan and execute all the events taking place; unlike the local merchants who were trying to get their stores ready for the Holiday season. Cabot employee, Brittney Thomas Ramos took on CIM and ran with it! She set-up a website and maintained social media. She helped create a logo and did marketing. In other words, she brought about a more modern approach. Williams Energy became involved by sponsoring free movies over the weekend celebration. Something they continue to do. When Brittney moved away three years ago, the Montrose Area Chamber became involved once again. President Tammy Bonnice helped make this a smooth transition. She then asked Paula Anderson, Ruth TenHoeve, and Seneca Lewis to head the CIM committee. Last year Ruth and Seneca instituted pop-up stores during the weeks leading up to Christmas. People loved having options when they came to town to shop. Another much-loved addition was the Farmer’s Market on the Green. Both will return this year. In fact, there are so many vendors who are interested in participating that this year the overflow will be housed at Lee’s Furniture Store! Come experience the magic of Montrose on December first, second, and third. Friday evening youngsters will again be able to gleefully participate in the Santa Roll. There will also be movies for the kids all weekend, starting with Olaf’s Frozen Adventure and Coco on Friday. On Saturday the whole family can enjoy a FREE Holiday Movie, The Muppet Christmas Carol. The Polar Express will show on Sunday and is also free, thanks to Williams Energy. Start the day Saturday with the 5K Jingle Bell Fun Run. Later, stop in and shop at all the church bazaars, and be sure to take a horse-drawn carriage ride. As you wander the Green on Saturday the look of wonder that will come over the faces of the children when they first see Santa’s live Reindeer will make memories for years to come! So, what do we hope for the future? Maybe our Christmas magic will inspire those with a vision of opening a small town business too, to “just do it,” and next year their store windows will be dressed in little white lights.